Parents will do just about anything to protect their child's health. They serve nutritionally balanced meals, encourage daily exercise, and insist on regular dental and eye examinations. Yet many neglect the most important part of the child's health care program: regular spinal checkups. Misalignments in spinal bones which interfere with the normal flow of nerve energy are known as subluxations. Many people still associate them with major trauma. They think the spine can be affected only after lifting heavy objects or being in an automobile accident. They don't realize that the daily activities of young children can easily result in subluxations. In fact, many babies receive their first subluxations during pregnancy and the birthing process. 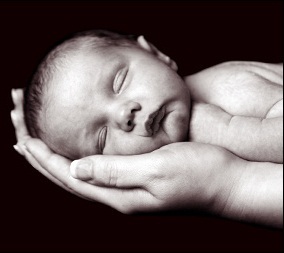 Modern medical procedures such as the Cesarean section, the use of forceps, and induced deliveries put unnatural strains on the infant's delicate body. Frequently, doctors still hold the baby upside down from the feet. Throughout the ordeal, the tiny spine is twisted, tugged and stretched. The frequent result: subluxations. People who understand the importance of spinal checkups and care bring their children into the chiropractor's office when they are tiny infants. Of course, the strain on the spine doesn't stop in the delivery room. Children are, by nature, active and energetic. They run, jump, tumble and fall. Since their bodies are extremely flexible and resilient, they often will show nothing more than a bruise or scrape after life's minor accidents. But that's on the outside. On the inside, the body has been jarred with considerable force. The small bones forming the spinal column -- which protects the central nervous system's spinal cord -- can be forced out of their proper positions. Some will return to the correct position on their own, guided by the child's own Innate Intelligence. Others will remain "stuck" in incorrect positions. Subluxations in children can cause dis-ease in the body, just as they do in adults. When the nerve flow is interrupted, some part of the body will send or receive distorted messages to or from the brain. With such interference, the body cannot function at 100% of its potential. It cannot reach its optimum level of health. If parents are lucky, their child's body will provide visible physical signs that something is wrong inside. Symptoms such as fever, stomach ache, sore throat, bed wetting, poor posture, hyperactivity, and frequent colds or flu may be evidence of subluxations. Parents aren't always so fortunate, however, for sometimes there are no outward signs signaling the presence of internal physical changes. In fact, unless children receive regular chiropractic check-ups, no one may know subluxations exist until the damage is so serious it cannot be hidden any longer. Obviously, we all want what's best for our children. We want them to be happy and intelligent and popular. Most of all, we want them to be healthy. That means making chiropractic checkups a regular part of their health care routine.